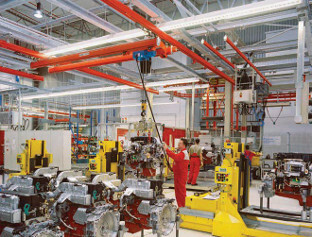 Car and truck makers require huge numbers of hoists, lifts and winches in their factories. 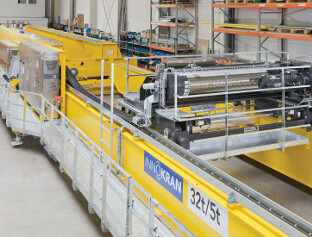 Julian Champkin investigates the lifting machinery that is used. 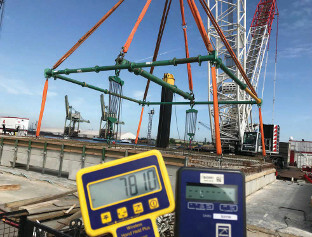 Load monitoring systems are part of the ever-increasing digital component of lifting technology. Julian Champkin looks at the latest developments. Hoists from Stahl CraneSystems are assisting the dismantling process at the Philippsburg nuclear power plant in Germany. 04 April, 2019	TER has introduced two new position limit switches suitable for overhead cranes and hoists. 18 April, 2019	Subsea lifting is used in a range of sectors, each with specific requirements. Julian Champkin investigates. Process cranes are crucial to many industries that need bulk handling of raw materials. Julian Champkin investigates. Daniel Searle attended the recent Logimat show in Stuttgart, Germany, to speak with exhibitors about their latest products, and their views on the prospects for the market in 2019. Wood, and products made from wood, can be strong, sustainable, and good-looking, and are increasingly in demand for everything from medium-rise buildings to flat-pack furniture. It is, though, awkward to handle. Julian Champkin looks at lifting kit for wood and timber. Specialised loads need specialised methods of attaching them to the lifting system. Julian Champkin looks at below-the-hook lifting devices. I was explaining to a friend recently what it is specifically that I write about as a journalist. Before becoming editor of Hoist I worked on our other lifting title Cranes Today for a couple of years, which is a topic simple to explain to people who don’t work in our industry—tower cranes in particular are an everyday sight in towns and cities. It took a few sentences, though, for my mate—who admittedly has no background in engineering—to fully understand what we mean by a hoist. As we approach the turn of the year, it’s a necessity for any business to be planing ahead for 2019—and it’s no different for a trade magazine such as Hoist.